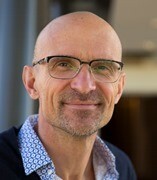 Cornelis H. (Ron) Hokke is Professor of Glycobiology of Host-Pathogen Interaction at the Department of Parasitology, Leiden University Medical Center, The Netherlands. His research focusses on the glycobiology of host-helminth interactions, and the development of glycan-based approaches to combat infectious diseases. Research themes include chemistry-driven studies of glycan-mediated immunity, glycomics technology development such as mass spectrometry and glycan arrays for the detection of glycan binding proteins and antibodies, glycoconjugate vaccine discovery studies for schistosomiasis and other parasitic worm infections, structure-function studies of immunomodulatory glycoconjugates, and the application of glycan antigens for diagnostics and biomarker discovery in infectious diseases. The themes are of an interdisciplinary research nature combining in vitro and in vivo immunology, synthetic and analytical chemistry, and studies of natural and experimental parasite infections.